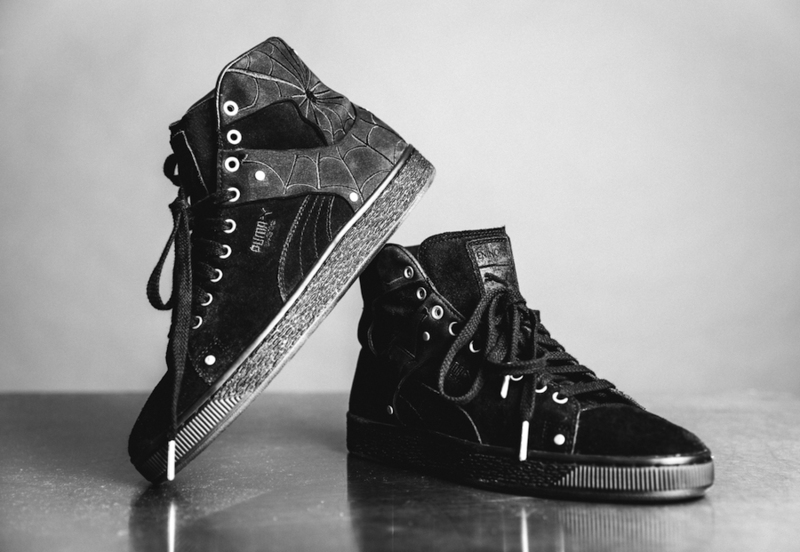 The Suede gets a monochromatic makeover as Global Sports brand PUMA partners with En Noir to celebrate 50 years of the iconic silhouette. 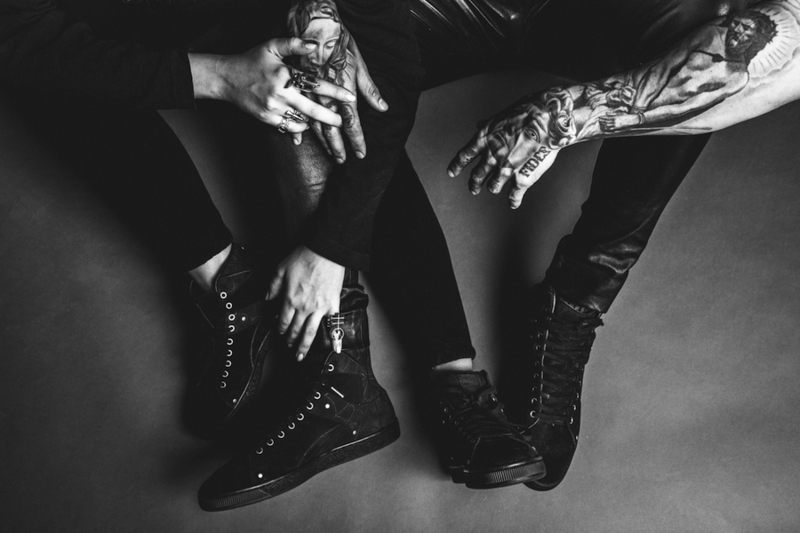 Blurring the lines between streetwear and high fashion, the LA-based brand is known for their monochromatic and minimalist style. 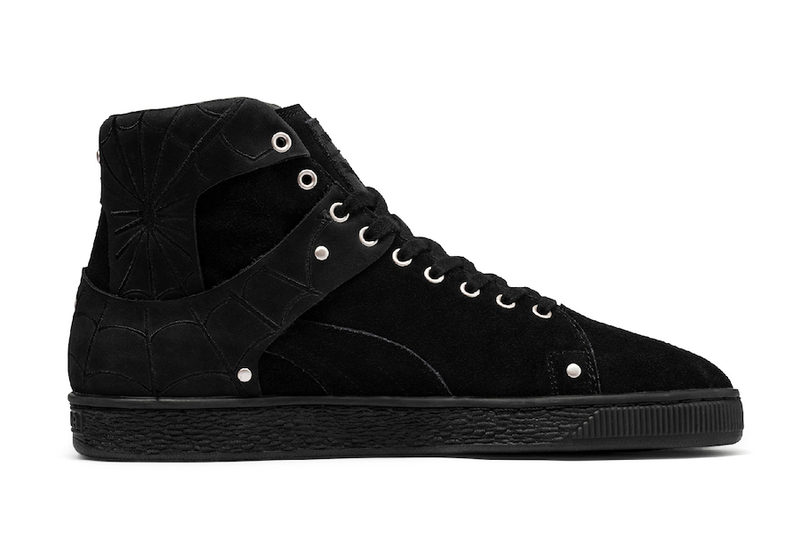 Creating bold and sophisticated pieces that rebel against the status quo, En Noir like the Suede is a streetstyle icon. 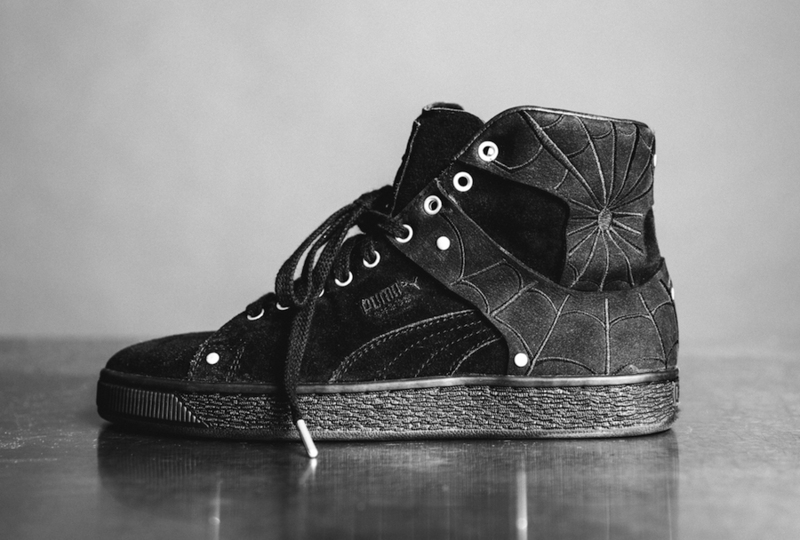 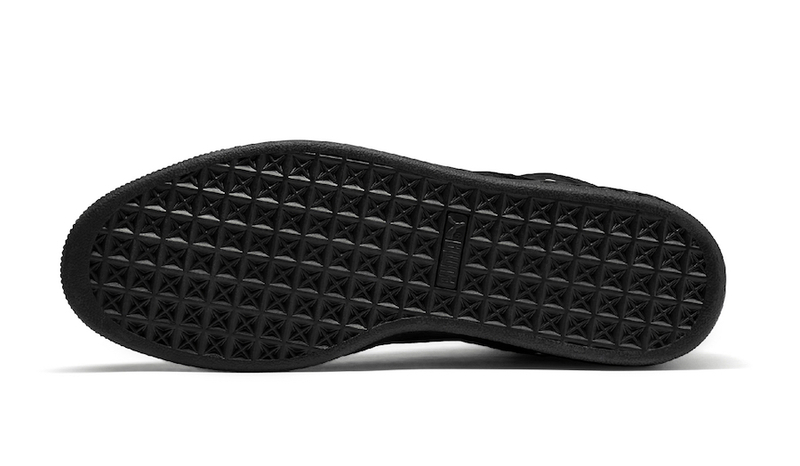 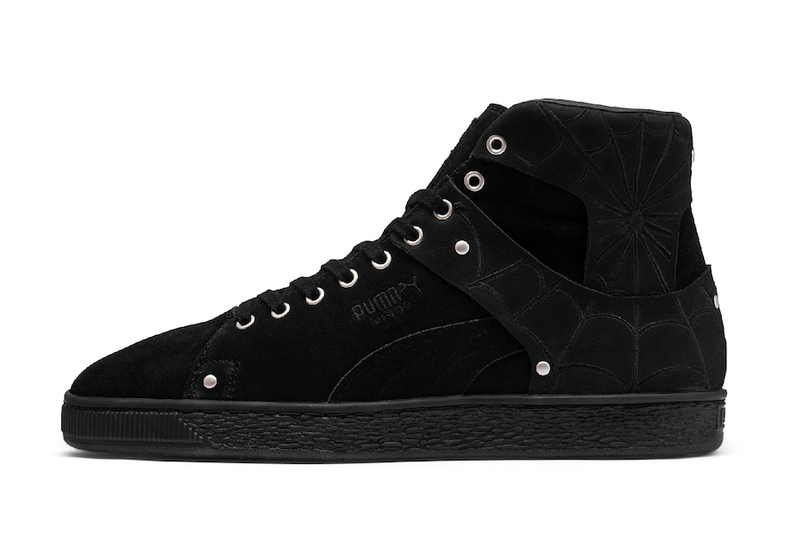 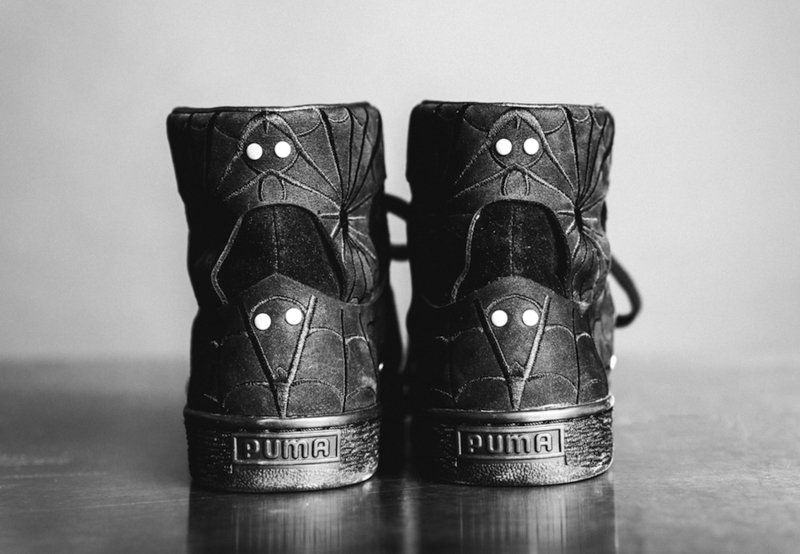 En Noir creates an exclusive edition of the Puma Suede in their signature all-black style. 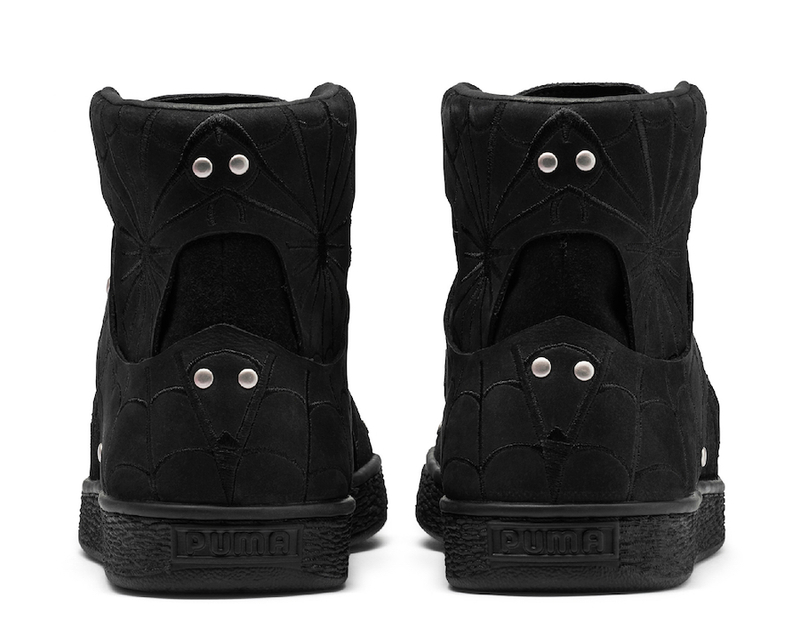 Drawing inspiration from founder Rob Garcia’s tattoos, the mid-cut Suede boot features an intricate spiderweb design on the heel. 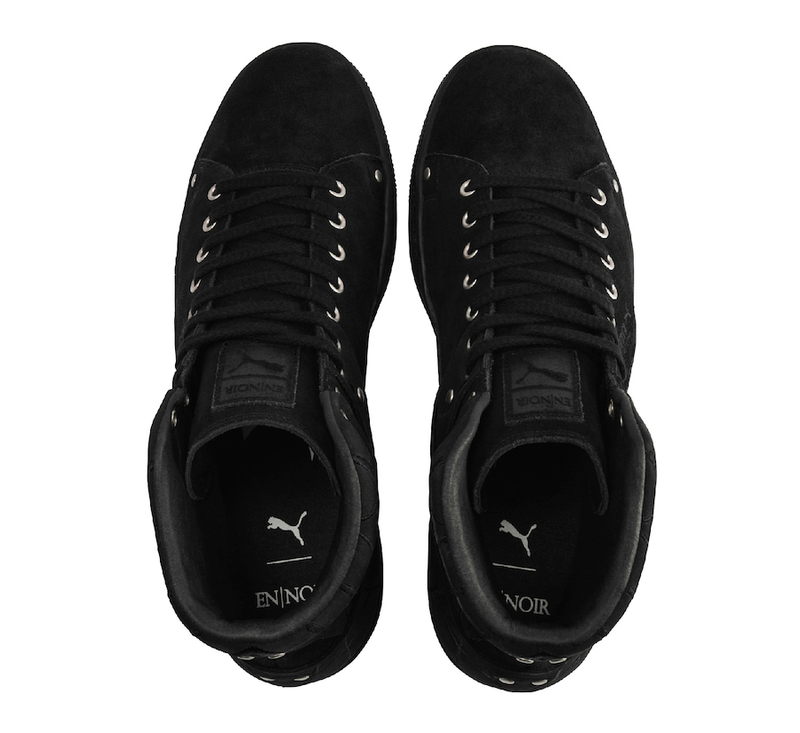 Creating a monochromatic feel with leather overlays on the upper, the black laces with contrasting silver tips completes the look. 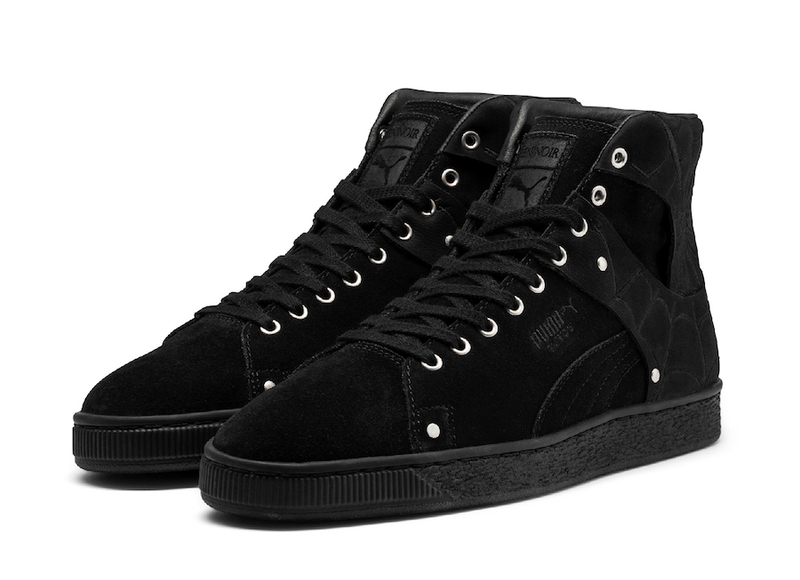 The limited-edition En Noir x PUMA Suede 50 will release on PUMA.com and leading sneaker retailers on December 15. 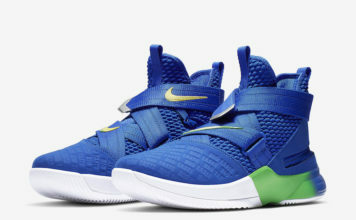 More images can be seen by scrolling below.